Exporter of a wide range of products which include 4,4'-Dimethyl Benzophenone, 4-(Bromomethyl) Phenylacetic Acid, 4-Benzyloxybenzyl Alcohol, 4-Aminophenoxyacetic Acid, 4-Amino-3,5-dichlorobenzoic Acid and 4-Bromomandelic Acid. We have an efficient workforce, which helps us in formulating and supplying a gamut of 4,4'-Dimethyl Benzophenone that is known for longer shelf life, purity and accurate composition. These are tested on various parameters to ensure quality, and are extensively used in diverse industries for a number of applications. All these are 100% audited by quality auditors to ensure zero flaw in the final products that are ready for delivery. Our 4-(Bromomethyl) Phenylacetic Acid is acclaimed for its precise pH value, effectiveness and purity. This white to light beige crystalline powder can be stored at room temperature. It is stringently formulated using premium quality chemicals & derivatives and advanced machines & equipment as per the conformation to industry standards. Available in the form of off white powder, our 4-Benzyloxybenzyl Alcohol can be easily stored at room temperature. It is precisely formulated using quality assured chemical compounds, which are procured from leading vendors of the market. Highly appreciated for its accurate composition, purity and longer shelf life, it finds host of application in multitude of sectors and industries such as chemical, pharmaceutical, research institutes and others. Our clients can avail from us pure and effective array of 4-Aminophenoxyacetic Acid at cost effective prices. Formulated using accurate composition of finest chemicals, it finds usage in different industries, research laboratories & institutes and other places. Our professionals stringently pack this chemical in superior quality material so that it retains all its properties and effectiveness. We are one of the promising manufacturers and exporters of precisely formulated 4-Amino-3,5-Dichlorobenzoic Acid, which is a cream colored powder. Widely used in various industries, it falls in the product category of Aromatic amino acids, aromatic carboxylic acids and others. Hygienically prepared using pure chemicals, it is appreciated for its stability, efficacy, accurate composition and precise pH value. Our clients can avail 4-Bromo-2-Methoxybenzoic Acid an organic compound, which is extensively used in laboratories, research institutes and various industries for creating new product and other derivatives. Prior to dispatch, this chemical is stringently tested by our professionals to ensure the quality and purity. Our range is also checked for accuracy of composition, formulation, pH value, toxicity and other effects. We are engaged in formulating optimum quality 4-Benzyloxyphenyl Acetic Acid, that is synthesized to study and find new non-steroidal analgesic. An isomer or derivative of benzyloxy-phenyl-acetic acid, it shows high performance and low toxicity. Precisely formulated using high grade chemicals and compounds, it undergoes rigorous test to ensure that flawless range is delivered to clients. We have an ultra-modern production unit, which assists us in manufacturing a superior quality range of 5-Benzyloxy-6-Azaindole. Our range is processed in compliance with international quality standards, and is highly acclaimed across the domestic and international markets. Our clients can avail 4-Acetoxybenzaldehyde, which is clear colorless to pale yellow liquid. 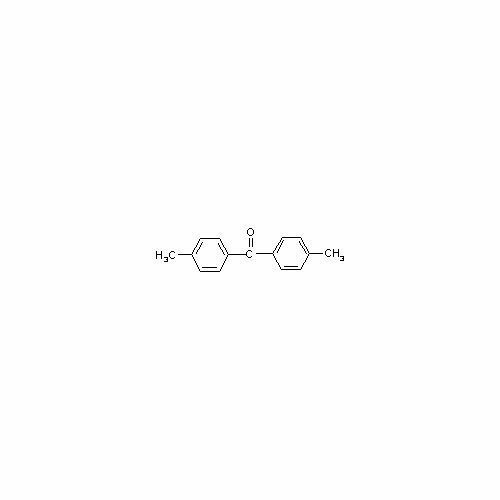 It is an aromatic chemical compound following into category of aldehyde and its derivatives with Cas No 878-00-2 and boiling point 152-153°C 17 mm Hg(lit.). Owing to its sensitivity to air, it is cautiously packed using optimum quality packaging material to avoid further reaction and formation of new compound. From our wide consignment, we are affianced in supplying Benzoylacetone. We offer 2-Hydroxy-4-Methyl-5-Nitropyridine that is derived by the chemical synthesis of carbon compounds with nitrogen. Our professionals make appropriate use of advanced machines and adopt latest technology during the formulation of the range. We are also equipped with hi-tech tools and equipment, which facilitate us in conducting various tests to ensure the quality and effectiveness of the compound.